For those that have been to Bali before but never to Canggu, then your in for a real surprise. Canggu is hot! It’s ‘going off’ in the slang of surfers and it’s really the place to be seen and spend your next Bali holiday. People are so used to staying in Seminyak or Ubud that the word Canggu actually seems quite foreign. No one really knows it, they’ve heard of it, know people who have been there but have never stayed there. But the secrets out; Canggu is unlike any other place in Bali. It’s a mix of hippy, hipster 70’s vibe, Australian families wanting to beach style holiday, Brazilian backpackers, surfers, French ex –pats and yoga enthusiasts. That’s only a small cross section. We could add in more like bohemian yuppies looking to discover themselves, the whole Eat Prey Love thing (except that Ubud has been done to death, so Canggu is the next best alternative), gym junkies, tattoo junkies and lastly digital nomads. The place is actually quite insane if you think about it, but this eclectic mix of people seems to work and it’s developing it’s own very popular sub culture in Bali. Forget Seminyak or Legian, Canggu is the French Riviera of Bali and it’s only getting more popular. If you visit Canggu now you will see it at it’s very best before the developers come in and start putting up hotels. The quaint village like atmosphere is ever present and very much alive here in Canggu. Some might equate it to the Byron Bay of Australia or the Santorini or Greece. In any case it’s now the hip destination and worth a visit. 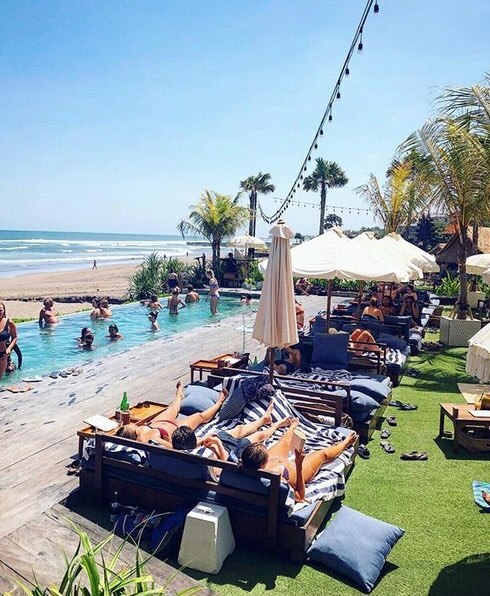 Even better you should probably rent a Canggu holiday Villa when your in Bali so you can really immerse yourself in this diverse, slick, groovy community. A week spent here will leave you here with a new man bun, the tattoo you’ve always wanted & way more flexible from your many yoga classes. 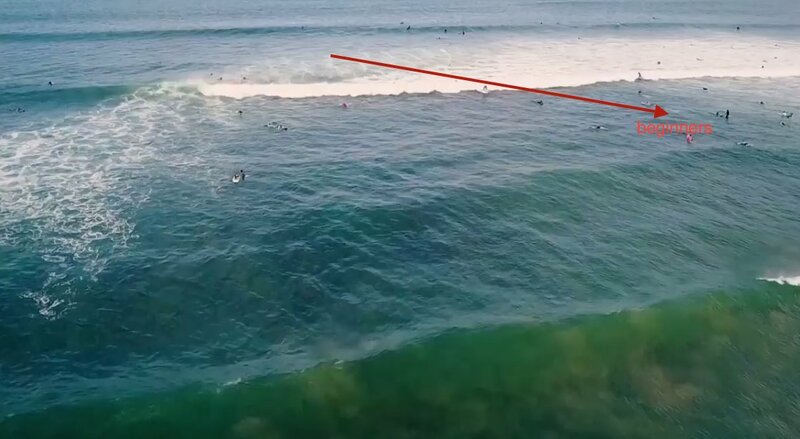 So if you’re a Canggu newbie, this should help you survive your first couple of days. When in Canggu it’s all about getting up early and embracing the day. This means that breakfast is high on the priority list. High energy, healthy eating is what defines Canggu’s café culture. The food is as nutritious & healthy as can be: mangosteen & green tea, almonds, chia seeds and coconuts, turmeric lattes and detox juices are the stars of every menu. Shady Shack – the owner who created the famous Betelnut started this popular café and it’s one of the best vegan cafes / restaurants in Canggu. Servings are large and prices are reasonable. Food is delish. We love the Kale Storm smoothies, or the great vegan bowls packed with fresh veggies. Yummie!! There’s heaps of parking outside so you can whip up there on your scooter for a quick breakkie or brunch after your morning swim at Echo Beach or your 9am Yin yoga class at The Practice. Nalu Bowls – if your into your surfing or for that matter if your going for your morning walk on the stretch between Old Mans, Echo and Pererenan Beach then head to Nalu Bowls just up the road from the entrance to Echo Beach ( Jalan Batu Mejan). These are an institution in Canggu and you can enjoy healthy coconut filled bowls of delicious local fruits mixed with acai berries. It’s adjacent to one of the most popular do-working spaces on the island so it’s naturally packed with digital nomads all working in Bali on their next big project. Wifi here is particularly good. You can use the wifi even if your not part of the co-working space. Take it while you can! Crate Café – set among the rice fields in a large shed structure Crate Café caters for anyone and everyone. Consistently good healthy food is the order of the day here with a jam packed relaxed vibe. It’s just off the main road Batu Bolong and may be a bit hard to find but ask anyone and they can point you in the right direction. Try the citrus flavoured coffee to kick start your morning. If your on a scooter there’s ample parking. Deus Café – one of the first cafes in Canggu right at the intersection of Batu Bolong busy hub, this place is a must visit. It’s a hipsters paradise with Deus motor bikes for sale as well as surfboards and clothing. Spend the morning here and watch the manic ordered chaos of Canggu unfold in front of you. For those with an appetite try the Mahi Mahi burger or if your wanting to keep vegan go the Buddha Bowl with chickpeas, quinoa, broccoli and beetroot. 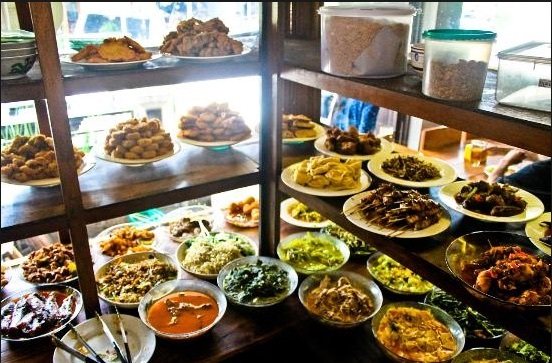 Warung Bu Mi – Warungs are local Indonesian restaurants serving authentic, tasty, fresh Indonesian and Balinese cuisine. For those of you not wanting to go down the path of eating local, forget it!! This place is unreal and serves the freshest tastiest local food you will find in Canggu. It’s packed the whole day with ex pats that know a good deal when they see it. You choose from an array of dishes on display and they staff will serve it to you with extra chilli sauce if you like with rice. It’s more of a lunch / dinner venue and the vibe as you can imagine is extremely casual. MissIbu – Make your way to Berawa which is a 5 minute scooter ride from Canggu for the newly opened MissIbu. Serving fresh pastas, salads, burgers and juices this is a great place to spend a few hours. After lunch here make your way down Jalan Pantai Berawa to the beach for a swim or to hang at one of the many beach side cafes. Try hidden beach…but don’t tell anyone! 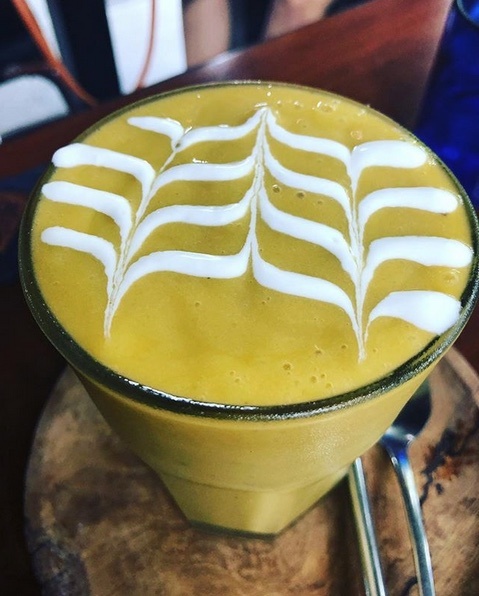 Vida Cafe – located on Batu Bolong this laid back cafe is a great place to hang in an unpretentious atmosphere as you down your gluten free cakes and sip on one of the best coffees in the area. You will feel like your in someones Balinese home as the cafe is an extension of a typical balinses house. Go there and see what we mean. It’s great! Milk & Madu / Peleton / Milu By Nook – we are grouping these extremely popular cafes together as they basically serve the same thing but each has it’s own unique vibe. Located 100 metres from each other in Berawa they are all worthy to make it to this list due to their notoriety and popularity. Hint: go to Nook for dinner, it’s got such a great romantic vibe. Perfect for coupes! 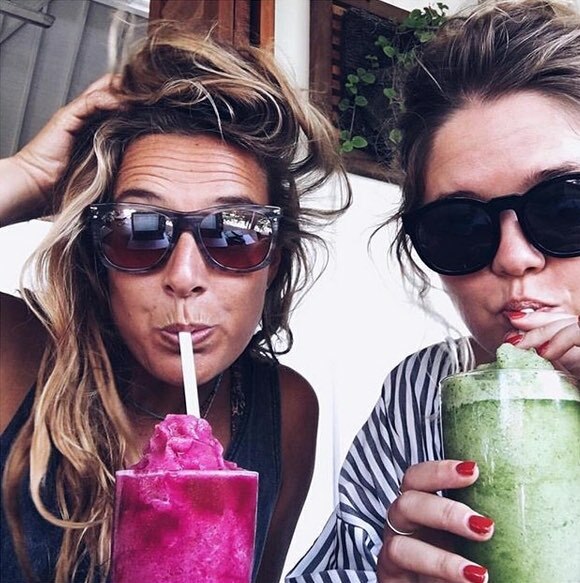 12 things to do in Canggu for newbie’s. Black volcanic sand is the main characteristic on all Canggu beaches. They run about 5 km’s from Berawa beach all the way to Seseh beach in the north. You can’t walk this but there are beaches where you can spend the day soaking up the sun, going for a surf or simply renting a day bed and catching up on your holiday reading. Beached to note are: Berawa Beach, Nelayan Beach, Batu Bolong Beach, Echo Beach, Pererenan Beach and Seseh Beach. The surf along this stretch of coastline is particularly good, especially at Echo. Take care swimming here as there are hidden rocks and rips can get quite nasty. For beginner surfers try Old Man’s beach as it’s a lot less dangerous here. Sunset time is also a good time to be at Canggu beach where bean bags seem to miraculously pop up for avid tourists wanting that Instagram worthy Canggu sunset shot. If your coming to Bali with kids or teenagers then a day at the Finns Recreation Club is a must. Conveniently located in the heart of Canggu your kids will go crazy for the waterslides, trampolines or ten pin bowling. Water slides are a real hit and it’s a great way to let them burn off all that energy. There is also a gym, swimming pool and restaurants so there’s something for all ages. Why not make your way to The Practice or Samadi yoga for some hatha, yin or ashtanga yoga. After all your holiday in Canggu would not be complete without some form of stretching. We particularly like The Practice as it’s got a great vibe and awesome teachers. You also get to have as much as you like incredibly delicious free ginger tea. This yoga studio is on Batu Bolong so it’s fairly central. If you want to chill out make sure you go to their 4 pm Yin Yoga class. It’s dream like. These markets go on the whole day so you can still get in a surf or swim before you make your way to the Canggu markets. There are 2 main markets. The first is on Batu Bolong and it’s called Love Anchor. This is a happening and buzzy vibe ( it does get crowded after 1 or 2 pm). It was so popular on Sunday that it’s open every day. Here you can buy local sarongs, jewellery, hand bags and general souvenirs to take back home. There are cafes and restaurants and Love Anchor in case you need a top up. Samadi markets held at the Samadi yoga studio is a much more low key and chilled out event. Here locals sell organically grown fruit and veggies as well as some hand made products. Samadi itself, has a great organic vegan café so you can have a bite to eat as your explore the great Jalan Linjong area. If you’re an avid skateboarder your going to love these man made skate ramps. If your have never tried this before then Canggu is the best place to start. Pretty Poison is the closest to Batu Bolong while Koncrete is a bit further away at Berawa. If your coming with kids & they are into skateboarding this is going to be pure heaven for them. Both places have bars and Konkete has a decent restaurant so you can relax while they do their thing. Prepare to mix it here with the young and fashionable. Fake grass (aka lawn) is the newest big thing to hit the Canggu beachside bar scene. Directly opposite Old Mans, The Lawn has a restaurant, bar and really cool music with uninterrupted ocean views. Have a cocktail here as you sit on the lawn and watch fabulous sunset with your best mates or family. There is an infinity pool so you can take the kids and let them play while you kick back and enjoy the fantastic vibe. For some of you the idea of renting a scooter in Bali might seem like a crazy idea. But, if your game enough and have had some riding experience then go for it. At $5 per day it’s a great way to venture out of Canggu and see the picturesque rice fields. A good idea is to check out other areas like Pererenan, Seseh beaches or maybe a day trip to the famous Tanah Lot temple. Make sure you take care and always remember that road rules in Bali are not the same as back home in Australia. Mention the name Old Man’s and everyone has their own story to tell. 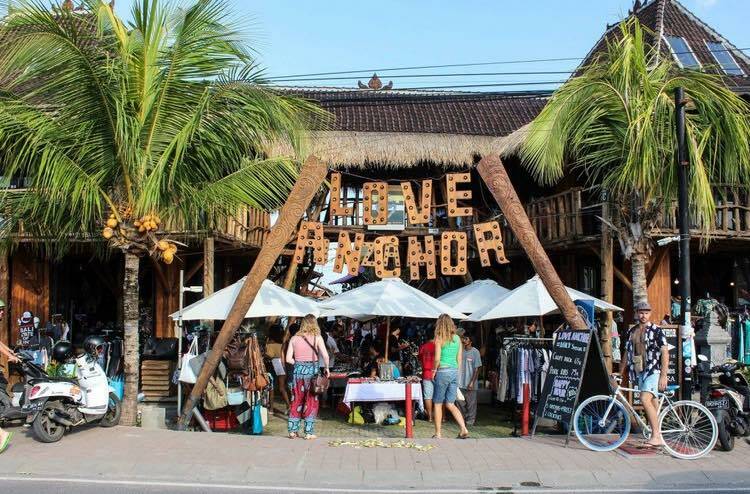 It’s a Canggu institution and is one of the main reasons why Canggu is so popular. Head down here after 4 pm and you will see why. It’s a beer garden on steroids. Everyone and I do mean everyone ( ex pats, locals, families, singles, backpackers) comes here to watch the sunset over a couple of Bintangs, margaritas & cocktails. Most people spend the day at their villa or in the surf but one thing is for sure, come late arvo and this place is pumping right into the evening. Again, if you have kids it does serve food and there are tables where you get great ocean views so it can be a great family outing. Menu here is simple; cocktails, beer, burgers, Indonesian food and cheap eats. To add to the beach style vibe there are bean bags on the beach with a DJ so you can be right on the sand and watch the sun set and the stars come out. This is holiday fun like no where else on the island. This is one of the coolest places to be in Canggu. With custom motorbikes, surfboards as well as live music this place is where you come to be seen and enjoy some really good food and coffee while you take everything in. Deus is at the epi-centre of Canggu cool so do not miss this even if you pop in fro a coupe of minutes to browse the bikes and boards. Echo beach is an icon for surfers, party goers and families. Come here to chill out during the day on the beach chairs, or surf the waves at the river mouth or come for an all you eat buffet dinner at the restaurants on the beach. It’s a happening place that’s easy to get to as it’s a 5 min scooter ride from Batu Bolong. On the street leading up to the beach entrance (Jalan Batu Mejan) there are loads of surf shops, cafes, pharmacies, day spas as well as the famous Dojo co-working centre. If your staying in Canggu then a visit to Echo beach is a must. To be realistic the surf here is quite rough so unless you’re an experienced surfer hitting the waves here is not a good idea. Best come here for the local beach vibe, grabbing a tan or a few cold Bintangs as you melt into the beach chairs. 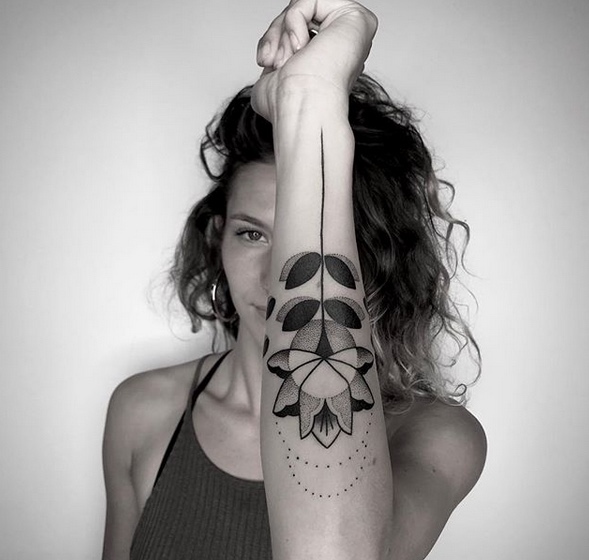 If you want to get that tattoo you always wanted then there’s no better place to do this than Canggu. You will seamlessly blend in with the locals and ex pats once you get that tatt! Canggu is the perfect place to start that online business you’ve always dream’t of. 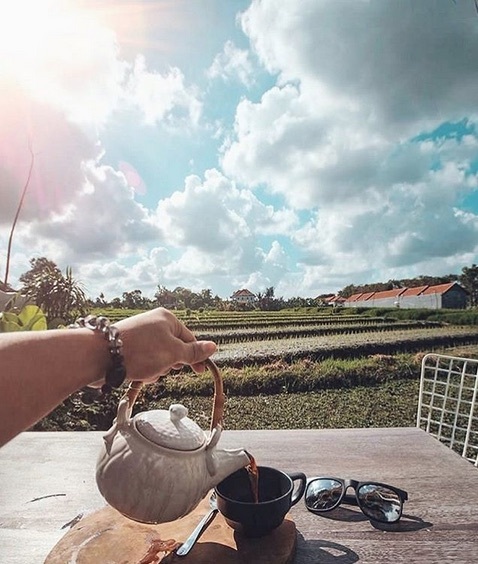 Give up your day job back home and spend hours in co-working centres and cafes with amazing wifi dotted all over Canggu and kick start that business. It seems every cafe you pass in Canggu is full with people on laptops doing some kind of internet start-up. 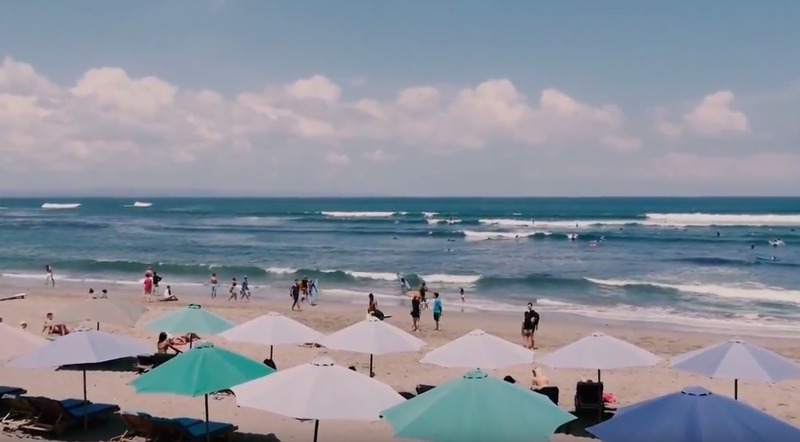 If you want to experience Canggu’s eclectic vibe rather than coming there for a day trip then the best way to do it is obviously stay in a Canggu villa. There are, as you would imagine many beachfront and rice field Canggu villas as well as villas close to Batu Bolong. The best thing to do is take a look through the villas on this website and you will get a much better idea about the fun times you could have by being in your own villa.